With Spring Break in full swing, and Summer Break around the corner, families from all over the world will soon be making their way to Maui for a little fun, sun, and exploration! Travel trends show that it’s not just moms, dads, and kids that are packing up for vacations anymore, but grandparents, aunts and uncles, and more extended family members will be joining in! 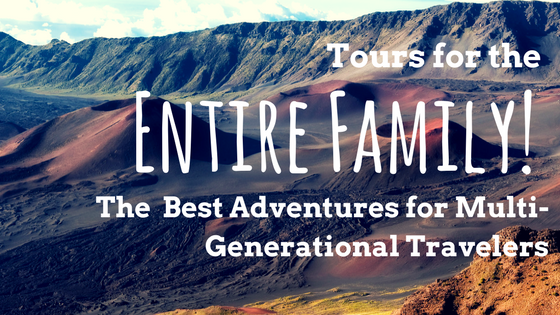 So, if you’re one of the thousands of multi-generational traveling groups this summer, you might be wondering which tours are best for you. Read on, family traveler! This is one of our favorite tours for families, for so many reasons. First off, everyone loves a helicopter! A thirty-six-minute flightseeing tour above Haleakala and the Road to Hana will be memorable for the whole family—and probably play a key role in some “What I Did on my Summer Vacation” essays come September. The land portion of the tour, in a Luxury Limo-Van, will include something for everyone too—swimming at a waterfall, a tour of a tropical flower farm, a visit to the black-sand beach, and a tasty picnic lunch. Finally, this tour is a half-day adventure. Your family can choose to sleep in, and join us on the 11:15 slot, or take the early 7:00 AM tour and have time for another adventure (or a nap!) afterward. One challenge with traveling with a big family? Not everyone’s always down to do the same things. If some members of your family are a little iffy on the idea of a helicopter, or if you’re looking to save a little money during your trip, check out our Hana Picnic tour! This is a relaxing, full-day journey to and from Hana on one of our Luxury Limo-Vans, with plenty of time for stopping, sightseeing, swimming, and enjoying the rainforest. Sit down to a beach-side picnic lunch, take a dip in a waterfall pool, and enjoy learning about Hawaiian culture, history, geology, and more from your Hawaii-Certified Tour Guide! While some folks might think twice about taking kids on this journey, we would really recommend it! For most US-based travelers, you’ll still be a few hours ahead, time-zone-wise, when you get here, and the early wake-up won’t be such a challenge. Your kids might be up anyway! Every generation in your family will enjoy the peaceful setting of Haleakala before dawn, and of course, the incredible show of light and color that make this attraction so popular for Sunrise. Afterward, we know everyone will be hungry, and the crowd-pleasing menu at the Kula Lodge has something for everybody! When your travel group consists of all ages, we know that there can be some unique challenges—and don’t worry! We’re here to help. Mobility challenges, dietary needs, and more can be accommodated as much as possible, and there’s always a friendly Reservations Agent here to answer all your questions. Give us a call at 1-800-817-1234, and we can help your family pick the perfect luxury tours for your Maui stay! If you’re going to join us on a Road to Hana adventure, you might be wondering what to bring with you before departing on the world-famous Road to Hana in one of our Luxury Limo-Vans. Never fear, traveler! Here’s everything you’ll need to enjoy your day in Maui’s rainforest. Comfortable Clothing – On the Road to Hana, you’ll have plenty of opportunities to get out of the Limo-Van, explore, and simply take in the beautiful surroundings that East Maui offers. Temperatures are a bit cooler than other areas on Maui sometimes, but it’s still a tropical rainforest! Our favorite touring gear? Shorts and a t-shirt are perfect for a day on the Road to Hana. Light Jacket or Sweater – Like we said, temperatures can be a bit cooler, and of course, you’ll be traveling in an air-conditioned Luxury Limo-Van. Just in case, it’s a good idea to bring a light sweater or jacket, and you’ll be prepared for some of the light, misting rains that are common in East Maui, or relaxing in the Limo-Van after a swim! Good Walking Shoes ­– Our tours aren’t hiking tours, so don’t worry about having the sturdiest hiking shoes money can buy. You will be walking on natural terrain, and rocks, roots, dirt, and mud are commonplace on the Road to Hana. Rather than your cute pool-side flip-flops, wear your sneakers or athletic sandals for the Road to Hana. Swimsuit and Towel – Planning on taking a dip? Bring your swimsuit along to change into, and you’ll be happy to have a nice fluffy beach towel on board as well! Swimming stops on the Road to Hana are located near convenient places to change, so don’t worry about wearing your swimsuit under your clothes. Sunscreen – Even though you’ll be in the rainforest, you’ll have opportunities to get some sun during the day—especially at the black-sand beach! Bring sunscreen with you to re-apply throughout the day, to avoid having a sunburn as a Road to Hana souvenir. Just a note: if you’ll be on our Hana Sky-Trek, bring a small bottle of non-aerosol sunscreen. The aerosol cans aren’t allowed on board the helicopter, and you’ll want to limit your carry-on bag to about three pounds per person. Camera – It might seem like a no-brainer, but of COURSE you’ll want your camera during your adventure! If it’s a stand-alone camera, make sure its batteries are charged, and you’ve got enough space on your SD card to capture hundreds of memories. If you’ll be using your phone for your camera, it’s a good idea to bring a portable battery pack with you, and put it on “airplane mode” during the drive. You probably won’t have service on most of the Road to Hana, and too much searching for a tower can drain your battery! Everything else—lunch, bottled water, and even refreshing tropical fruit juice beverages—are provided on board, as well as premium umbrellas in case it rains! Of course, always let us know if you have additional questions, and we look forward to sharing a Hana Highway adventure with you soon! 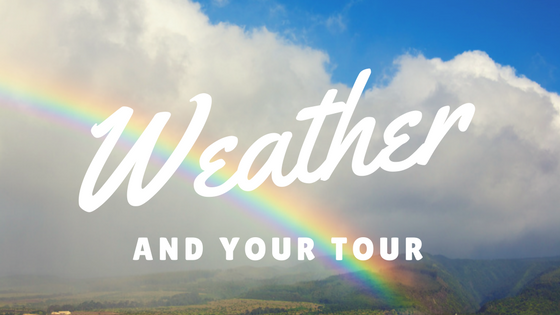 Although we’re moving into the spring and summer months, when calmer, sunnier weather prevails, we’re always keeping an eye on current weather conditions and how it might affect your tour. Here are a few things to keep in mind when booking your tour. Road to Hana Tours – Our Road to Hana tours, for the vast majority of the time, are pretty unaffected by weather. 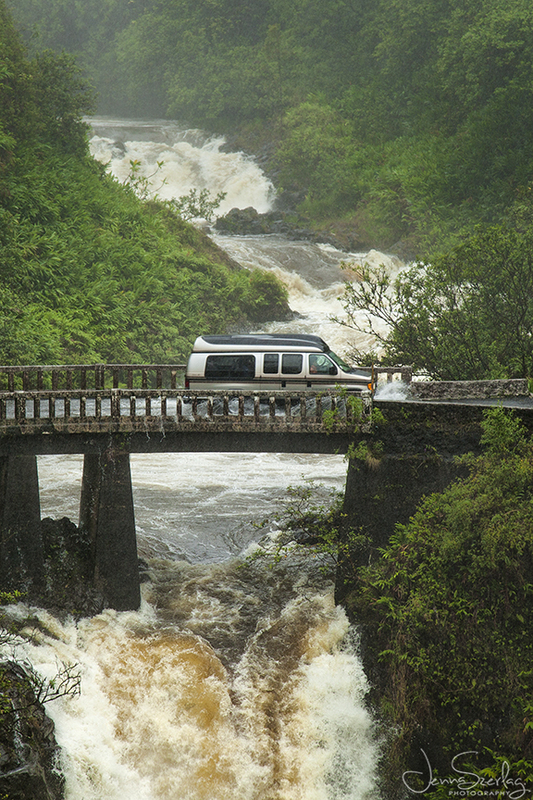 The Road to Hana is situated in the rainforest, thus experiencing more rain than much of the island. Our Tour Guides navigate this winding road with ease, and are equipped with umbrellas for sightseeing during a rainy day. Without rain, incredible experiences like this on the Road to Hana would be hard to come by! Mahalo to Jenna Szerlag photography for this incredible “action” shot! 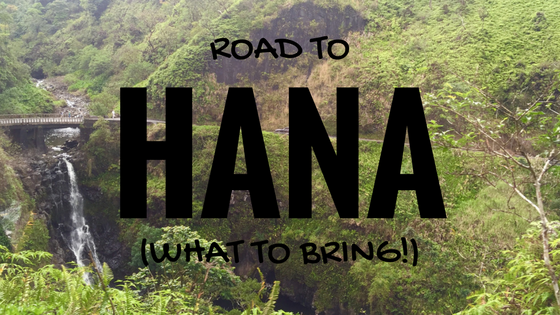 Of course, without rain, the Road to Hana would be missing one key feature—the waterfalls! Heavier rains, generally during island-wide storms, may cause landslides or downed trees along this rainforest roadway, and we’ll be sure to keep our guests informed of any issues as soon as possible, and reschedule if need be. Helicopter Tours – Our tours that include a helicopter portion—the Hana Sky-Trek and the Haleakala Sun-Trek—come with strict FAA regulations on flight safety, for obvious reasons. If weather or flight visibility concerns arise, never fear—we’ll work hard to get your flightseeing tour rescheduled. Haleakala Summit Tours – The Summit of Haleakala, at 10,023 feet, is no stranger to weather concerns. While tours operate rain or shine, we work closely with the National Park to keep Tour Guides updated on conditions such as dangerous winds, heavy rains, and yes, even ice and snow. Should dangerous conditions arise, we’ll reschedule your tour to a day when it’s safe! Every weather concern and every tour is different, and should your tour be affected by Maui’s sometimes-baffling tropical weather, you’ll be notified personally by a Reservations agent as soon as possible. More often than not, though, a bit of rain or wind won’t affect your tour at all, and you’ll still have an incredible time getting to know this very special island. 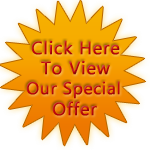 When choosing tours around Maui, you might wonder why there’s a bit of a price difference between certain tours. Of course, plenty of factors are at play here, such as type of vehicle, level of experience, and more, but one big advantage to choosing a tour with Temptation Tours is a small-group experience, guaranteed. 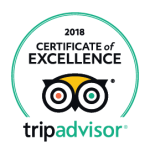 Each of our tours hosts a maximum of six to eight guests, which puts your Maui tour into a virtually un-matched, top-tier level. 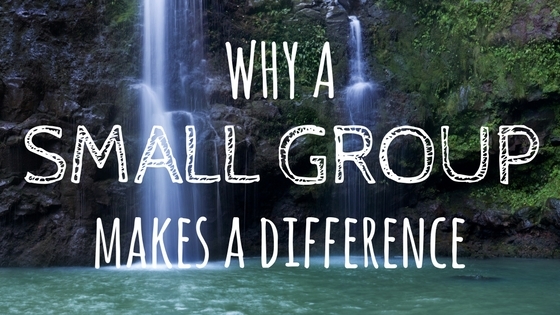 Wondering why you need to tour Maui’s amazing sights and landmarks with a small group? Read on! If you read our reviews, you might find that a great deal of our guests have mentioned the friends that they made on tour—their fellow tour-goers! Your fellow travelers, like you, see the value in a small-group, luxury tour, led by a Hawaii-Certified Tour Guide, and if you’re like many of our guests, you’ll be on the way to making life-long friends during your adventure. What was the difference between taking a college class in a lecture hall with hundreds of other students, and taking a workshop-style class with just a few peers? That’s the difference between traveling with a big-bus company, and traveling with Temptation Tours. Your Hawaii Certified Tour Guide is speaking to you, not at you—and with a group of no more than eight guests, your Tour Guide will get to know everyone on board throughout the day, and tailor your experience to you. On a small-group tour, you’ll experience things that would not be possible on a larger-scale tour, like sitting down to a run-of-the-menu breakfast at the intimate Kula Lodge after Sunrise, or enjoying a four-course luncheon at the Luxurious Travaasa Hana. Tour a working flower farm, explore underground lava tubes, or even take in a wine-tasting—all with Temptation Tours and your small group. Find your own reasons why traveling with a small-group is the only way to tour, and contact us today to arrange your adventure.